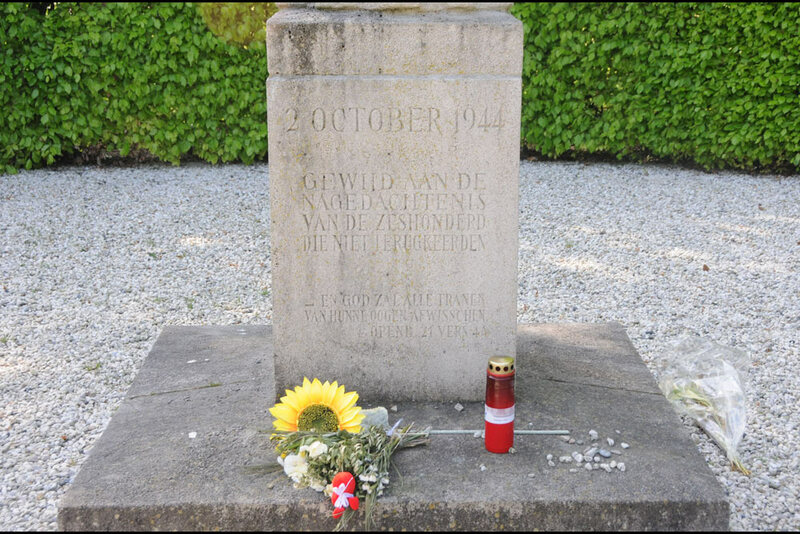 On the night of 30 September 1944, the Dutch Resistance conducted an action against the Germans, after which one German officer died. On 2 October, the Germans conducted a retaliatory raid against Putten. This is a memorial for the 600 Putten residents who did not return home after that raid. The Germans separated all males over age 15 and deported them (660 in all). 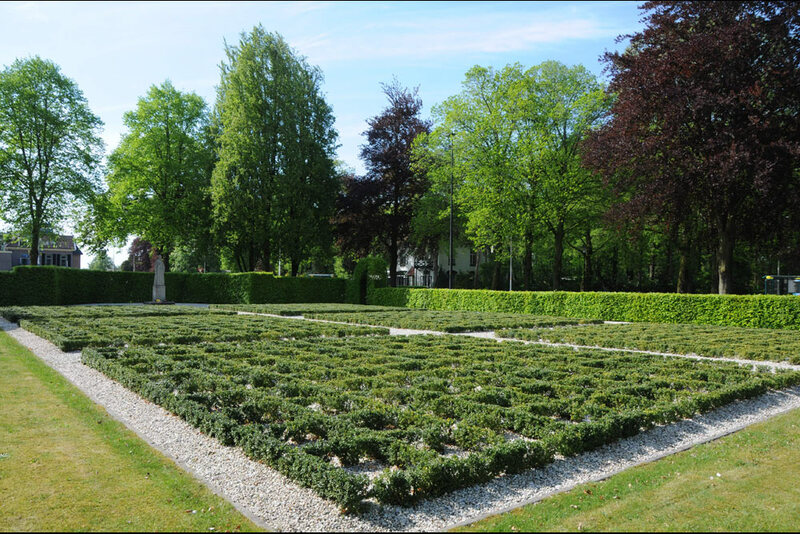 Of the 588 who actually arrived at Neuengamme concentration camp, 540 died there or in other camps. Only 48 returned home after Liberation. The statue is named "The Mourning Widow". 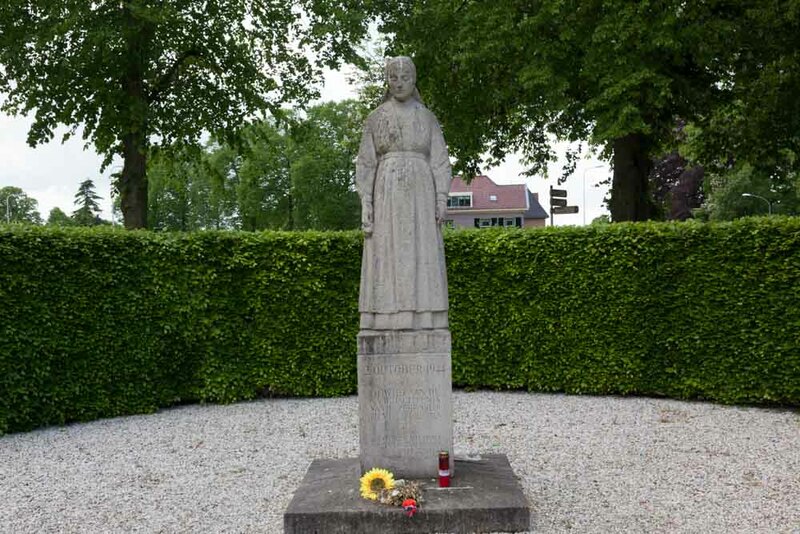 Locally it is also known as "The Little Woman of Putten". 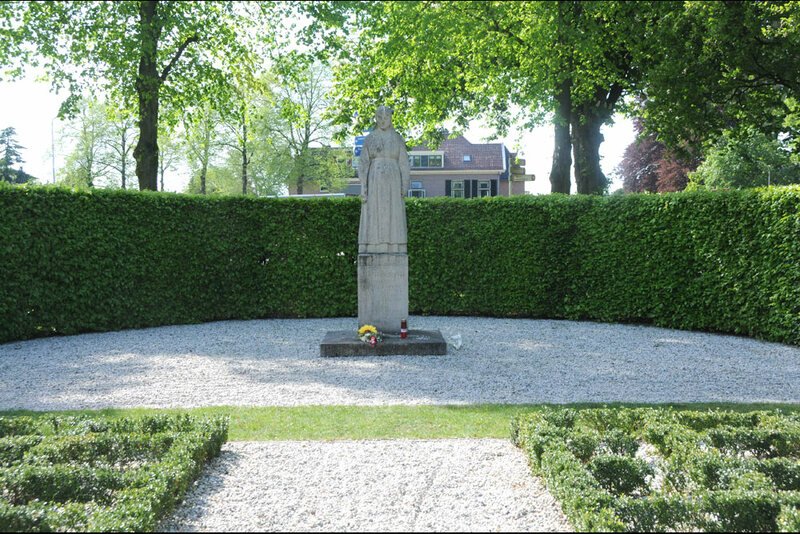 It is looking in the direction of the Old Church of Putten, from where the men were deported.